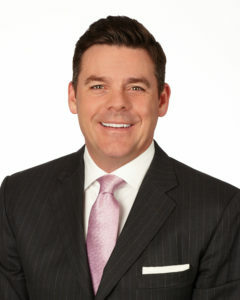 DALLAS, TX — (September 2, 2015) — Mohr Partners, a global corporate real estate advisory firm, announces that Eric Beichler, Managing Principal in Mohr Partners’ Dallas office, has been invited to serve as moderator at the upcoming Retail Summit presented by Real Estate Deal Sheet and The Real Estate Council. The event will be held Friday, September 4, 2015 at the Dallas County Club located at 4100 Beverly Drive, Dallas, Texas. Mr. Beichler will moderate a panel of industry experts from some of the biggest names in the retail industry, including Chipotle, Starbucks, Potbelly and Raising Cane’s to discuss what is shaping today’s marketplace. Mr. Beichler and the all-star panelists will share how the top retailers differentiate their brands through design, how those biggest retailers pick their sites, and how medical tenants are changing the retail landscape through expansion. “These are exciting times in real estate and certainly the retail sector is experiencing exceptional growth in most major markets”, said Mr. Beichler. “The growth these industry experts have experienced is a direct correlation to their strategies to differentiate their brands and understand their market segments in site selection”. “The changing landscape created by medical tenants will probably continue as the need for easily accessible facilities continues to increase”. For more information or to register for the upcoming Real Estate Deal Sheet and The Real Estate Council’s upcoming Retail Summit, go to www.recouncil.com. The Real Estate Council is Texas’ largest and most influential organization of its kind representing more than 1,700 individual members and 500 companies that make up 95% of the commercial real estate businesses in North Texas. Commercial real estate is a vital driver of the Dallas-Fort Worth economy that generates approximately 1/6 of the area’s economic output. The organization’s members are developers, builders, brokers, attorneys, architects, investment bankers, accountants, finance and title professionals and more. For more information on The Real Estate Council please visit: www.recouncil.com. RealEstateDealSheet.com is the brainchild of a group of seasoned commercial real estate professionals, who, over the course of the last two-and-a-half years, have sought to create a superior platform for putting the best of Web 2.0 and social networking technologies to work on behalf of fellow commercial real estate professionals nation-wide. The result is RealEstateDealSheet.com, the customer commercial real estate deal-sourcing platform where people and opportunities meet. For more information on Real Estate Deal Sheet please visit: www.realestatedealsheet.com.